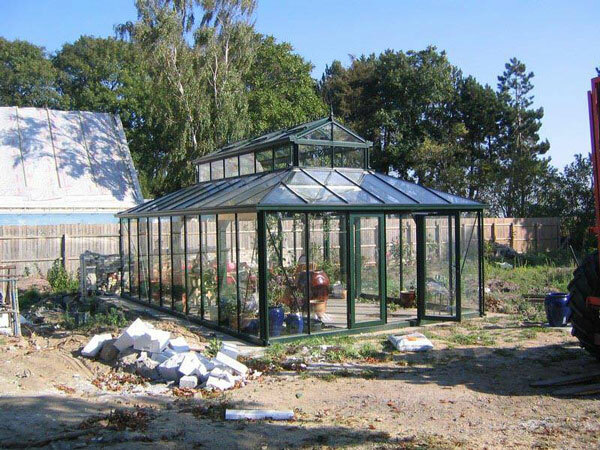 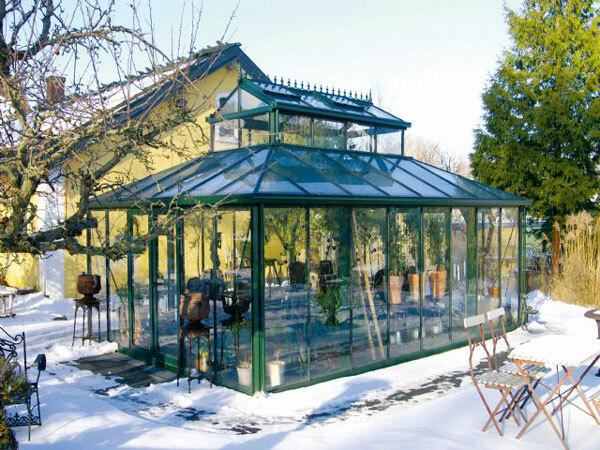 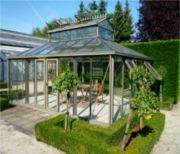 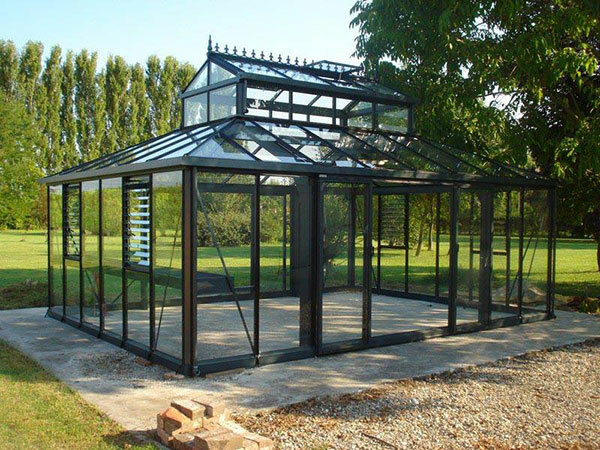 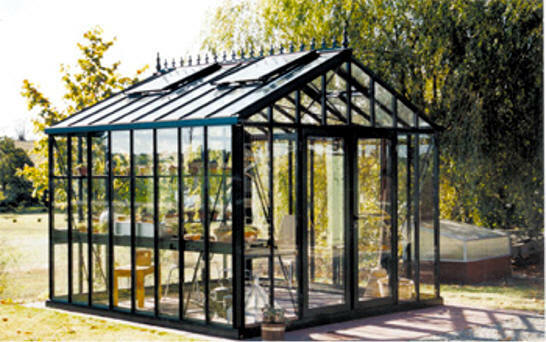 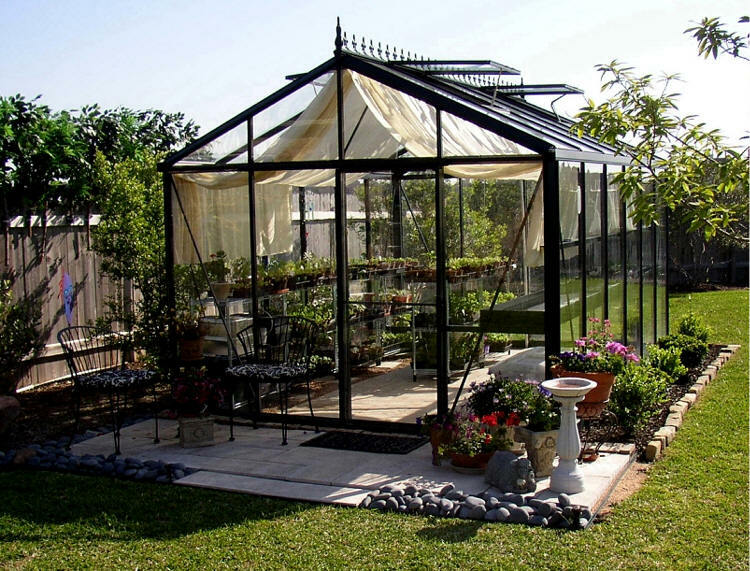 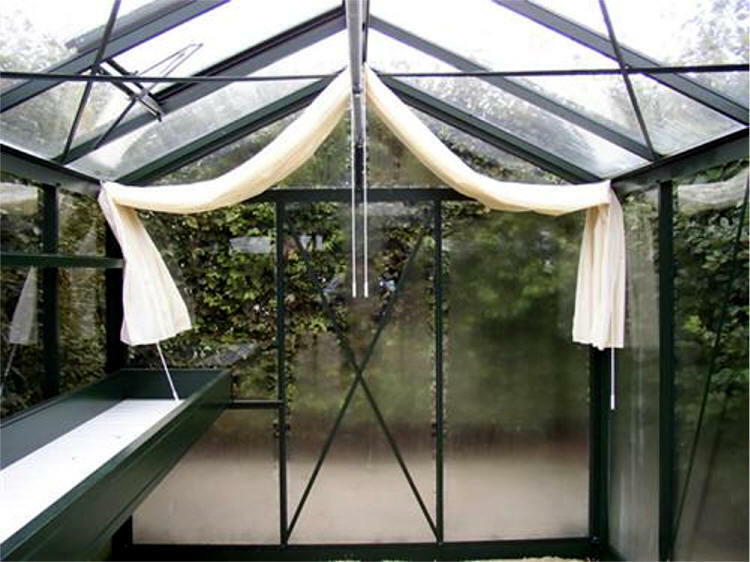 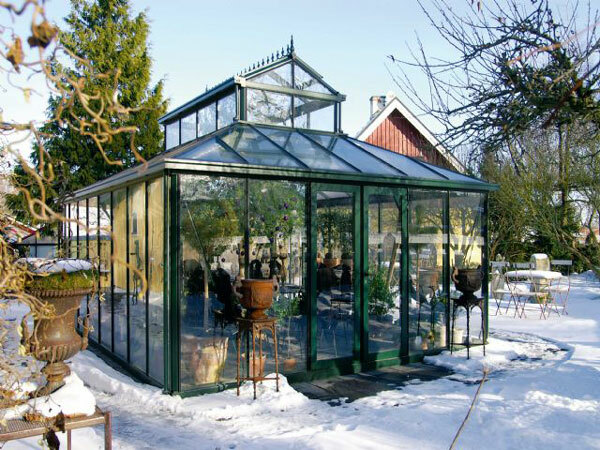 'Old World' Victorian Greenhouse is 15' wide,19'11" long , 12'2" high elegant classic looking style, This model features 4mm thick safety glass. 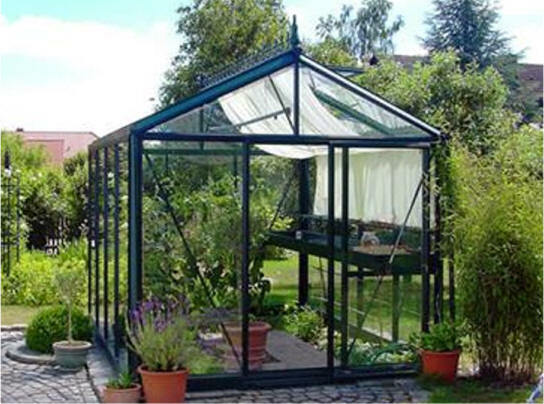 2 heavy duty aluminum re-enforcement supports (going from front to back): size: 2.3" x 5.2"
1st Gutter Height: 6'8" 1st Ridge H: 9'1"
2nd Gutter Height: 10'9” 2nd Ridge H: 12'2"
*****Custom colors and sizes are available. 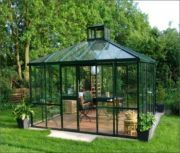 Call us 1-800-531-4769 (toll free).